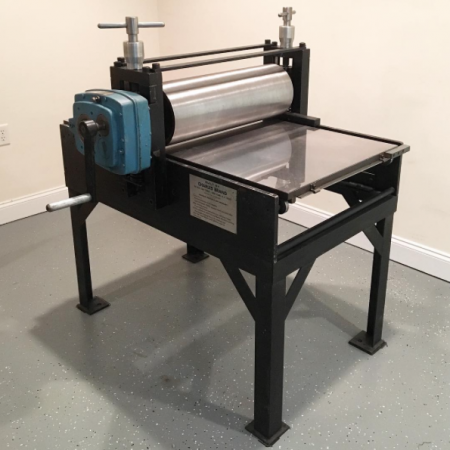 Pink Line Press is a fine art printmaking studio located in Kenilworth, NJ which specializes in relief, intaglio, letterpress and screen printing. Our shop offers studio rentals for artists, allowing them to use our Kelsey Model U and Charles Brand etching press. We also offer private lessons designed around your intended goal and small-group workshops for introductions to the basics of assorted printmaking processes. If you don’t want to print yourself, we offer contract printing for any type of job.